For one driven distiller, the ancient peat bogs of the Northwest are the sludgy secret to a locavore single malt. I'm wearing waterproof snow boots, and I feel like if I lose my footing I might be sucked into something similar to quicksand. Only I'm not in a 1950s sci-fi movie, and the quicksand is actually a fudgy, soil-like muck. It's a cold and drizzly Pacific Northwest day, and I'm with Matt Hofmann, the 27-year-old master distiller and cofounder of Westland Distillery. We're slogging through a peat bog near the Puget Sound, an hour and a half south of Seattle. As we tramp along through this soggy 30-acre expanse by the cedar-and-pine-tree-lined Oyster Bay, our boots make a smacking sound with each step, like my dog's mouth when I give him peanut butter. Hofmann almost takes a tumble at one point, and I snap a photo of him right after he steadies himself, rosy-cheeked through his enormous ginger beard. He's generally quite measured and focused, so it's great to see him laughing. Hofmann, the man responsible for America's first locally peated single-malt whiskey, is in his element. Peat is partly decomposed plant material—mosses, shrubs and so on. It's more porous than soil, but it holds together. Scottish peat harvesters cut it out in blocks with spades; then distillers burn it to smoke the malted barley used for making whiskey. Hofmann says: "It's not like we're taking the moss and burning it. We use the stuff underneath the moss that's decaying. A peat bog is waterlogged, oxygen-starved and acidic—all this decay happens really slowly." Hofmann takes regular trips to this particular peat bog in his black work truck, bundled up in a wool Filson jacket and wearing permanently mucked-up rubber boots, but I've never been to a peat bog before. I never even knew one existed in the US. I've done a lot of foraging in the Pacific Northwest—digging for cockle clams in minus tides, foraging for morel mushrooms in piney burn areas, collecting trailside wild berries during summer—but the fact that it was possible to harvest peat never once occurred to me. Hofmann, on the other hand, has been peat-obsessed for years. He started distilling whiskeys in his late teens when he was an undergrad at the University of Washington majoring in economics, then went on to cofound Westland, in Shelton, at the age of 21. He studied distillation in Scotland, learning about peat in his brewing, distilling and malting science courses. After returning to the Pacific Northwest, he became determined to hunt down local peat for the whiskey he was making at Westland. Luckily for him, he didn't have to travel far. It turns out that peat, which is found primarily in the northern hemisphere, is all over the Pacific Northwest. From the get-go of Westland Distillery, Hofmann, who has a DIY, pioneering spirit, had wanted more than anything to craft a whiskey that spoke of the place it was made. To that end, he sources local Oregon oak, rather than the standard American white oak, for some of Westland's charred barrels, and tries to use a percentage of Washington-grown barley as well. The peat was the last part of the equation. So far, Hofmann has laid down 10 barrels of his local-peat whiskey; he plans to lay down another 70 barrels come October. This is work for the future—he expects to release the whiskey in a few years, assuming it's ready. A preview of sorts is his Westland Peated American Single Malt Whiskey, made with grassy highland peat from Eastern Scotland. The Scottish peat, he feels, shares with the Shelton-area peat an earthy, woodsy and ever-so-slightly-sweet profile. As we make our way around a parked John Deere excavator to another part of the peat bog, scrambling over fallen timber to get there, Hofmann gives me a peat tutorial. I learn that peat takes hundreds or even thousands of years to form, as plant material slowly decomposes and turns fudgy and soil-like (but not dense or heavy—it's still vegetable matter). The key thing is that when you cut peat into blocks and dry it, the result is not unlike lump charcoal. 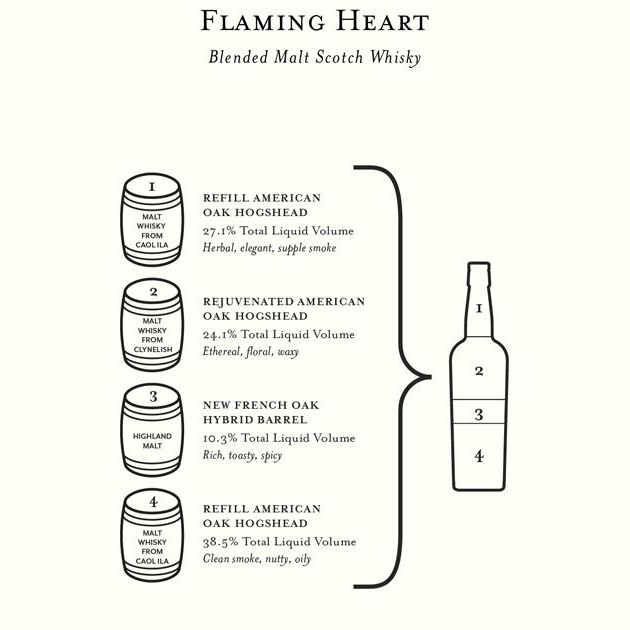 And if you dry malted barley over those smoldering blocks, it acquires a distinctive resinous smoke character. Back at the distillery in south Seattle's industrial SoDo district, we're greeted by two distillery mutts, Tyson and Kapono, and I soon get my first sip of Westland's Peated American Single Malt Whiskey. There's an undeniable locked-in-time flavor to it, at least to me. As a Cincinnati-born-and-raised gal who's regularly visited Kentucky bourbon distilleries, I taste distinct woodsy, nutty, campfire notes. The whiskey is smooth, warming and highly nuanced; Scotch-like, though not Scotch (only whiskey from Scotland can legally be labeled Scotch). It's so good it won the American Distilling Institute's 2015 Whiskey of the Year Award right out of the gate. I love it. Sipping Hofmann's peated whiskey transports me right back to the bog we visited just a few hours ago. I notice flavors in the glass that I'm not sure I ever would have detected prior to our exploration. It also makes me think: At one point, early in the day, Hofmann told me about the waist-high Labrador tea plants (a wetland shrub commonly used to make herbal tea) crowding the bog. "Rip off some of the leaves and crush them in your fingers,” he said. "You get citrus and rosemary and lavender all rolled into one. It's powerfully aromatic. And the cool thing about peat is that if we dig down beneath the surface, we'll find these Labrador leaves perfectly preserved, even though they're 200 years old. What's that going to do to the aroma of the smoke when you burn the peat?” Which makes me wonder in turn: Will plants such as these ultimately distinguish the flavor of Washington peat versus Scottish peat? Back in the distillery, Hofmann's quiet for a moment, then adds that he has to be very careful about what he dabbles in. Most things that he tries, he says, especially those requiring research and in some way connected to food and drink, he tends to get hooked on. Considering the ambition and effort behind the peated whiskey in my glass, I understand his concern.